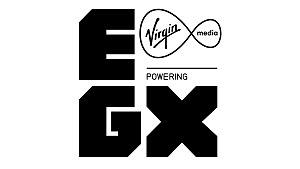 After a crazy first day, most of Day 2 at EGX was spent interviewing indie developers and finding some non-video game experiences. Turns out we only found one worth talking about. But most of all, and more importantly, I got to play some racing games, experience PS VR properly, and actually had some fun with a board game. Developed by VooFoo Studios, and currently out on Steam Early Access, Mantis Burn Racing is an arcade top-down racer with a focus on more realistic physics. It's a pure racing game with a few different game modes -- but there are no powerups, and only a very short burst boost. VooFoo touts the racing as "fun physics" with it's a mix of arcade and realism. When cresting and turning, the handling of the car will become very light, meaning you will have to lift off the gas. You can set the car up for these movements, allowing you to take the corner tighter, and then smoothly traveling over the crest with a drift. As you may be able to tell, I'm talking about these moments as one would a sim, like Dirt Rally, but it's not nearly as hard to pull off. The physics are actually fun, and it's a great mix of both arcade simplicity but also having to actually work for lap times to be fast, and getting the car to drift in corners. Oversteer and understeer aren't much of an issue, as the cars aren't quite that realistic -- but the game doesn't play like many arcade racers. 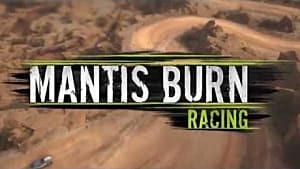 There are two types of environment, asphalt and dirt, with a third which will be coming as free DLC later. While they don't feel wildly different, asphalt does have a bit more grip than dirt, and actually helps the game as it means you don't need to learn two different driving styles. 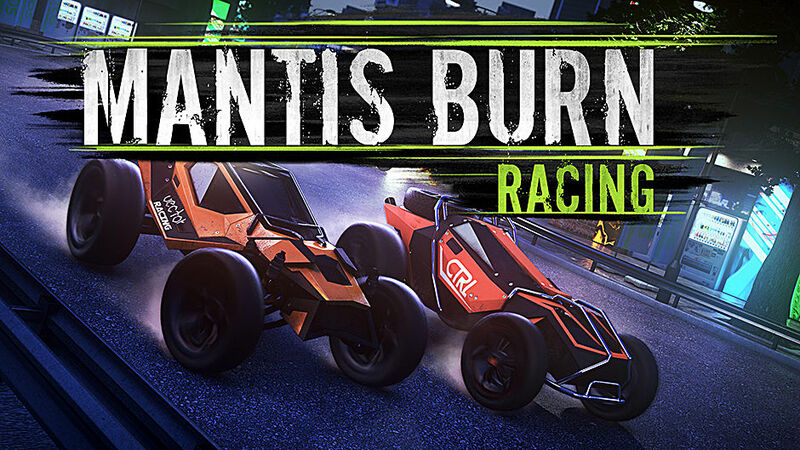 Mantis Burn Racing hopefully exits the Early Access pit stop, and will make its way to PS4 and Xbox One before the end of 2016. A tabletop cross-mobile game, Beast of Balance is all about balancing different types of block on top of each other, while also building up a world of diverse creatures in the virtual world. I'm not going to go into all the different types of blocks and what they do, as the game's official site does that for you. But what I will do is talk about my experience playing the game. Scanning your piece into the game is really cool, and the way that piece then appears in the game world is super satisfying. You feel like you have actually done something, and you have... in two different worlds -- the real world, and the virtual one. But this is where the good stuffs stops. While building a tower is rather fun, the pieces in the game are simply all too obscure of shapes to be able to build anything solid. You can put 3 pieces on the plinth and not be able to build any higher. While I understand this is part of the challenge, I just feel that it was more a game of "get all the pieces onto the first layer" than "how much of a tower of Pisa can I make." 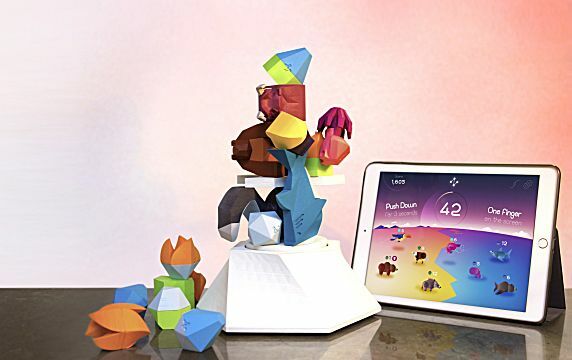 It doesn't feel like building a jenga tower, and the 'tower' you have built is to unstable and the shapes are so obscure that it all just felt like luck, not object balancing skills. While my time with the game was short, and perhaps my more negative experience of the game is solely because I didn't have much time to experiment with the shapes, and how they interact. You can pre-order Beast of Balance right now, and the app will be free -- and works for Android and iOS -- which is super nice! 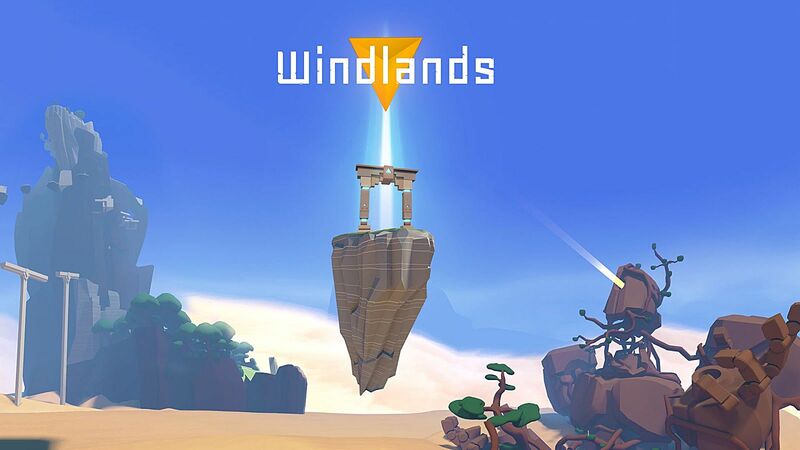 Windlands, by Psytec Games, is a VR game made for VR with only VR in mind. While it does work outside of VR, this is not the optimal experience. The basic premise of the game is that you must swing, using grappling hooks, to reach different high points in each of the maps to uncover the story of an ancient civiliszation. I played the demo with the PS VR headset, but the game also supports the HTC Vive and Oculus headsets via Steam. Windlands allows you to actually really look around to aim, though you still have to rotate the camera to turn and use the joystick to walk around. But that doesn't seem to matter too much. I did feel a little disorientated at times, as you are using the grappling hooks to slingshot yourself all over the place. You can, however, only latch onto the leafy parts of trees, which makes how you grapple about surprisingly tactical. While Windlands was good fun, I don't know how long that fun can last. It feels like most other VR games -- a neat concept, but one that feels more like a prototype of larger games, or just a small part of a more complex game. The environments are beautiful, and the combination of cartoon style graphics and VR made me feel rooted in the world. While at the time I wanted to play more, I didn't want stay in the world for the world, but just to the actually get hang of swinging around. It's a shame because I really love the potential of VR, and Windlands feels like an amazing base to a great game, but I fear that it may be short lived. If you do have a VR headset, Windlands is still well worth picking up on Steam. It's a really well done game concept, and is super fun -- I just hope the fun can last longer than half an hour. Drive! Drive! Drive! by Different Cloth is a racing game about racing on multiple tracks at the same time. 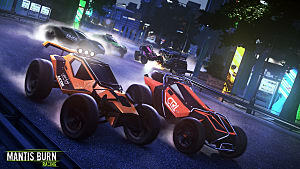 I swear, every time I go to EGX I find some weird new racing game with "drive" in the title, last year it was Drive Any Track (now called Riff Racer), and this year it's Drive! Drive! Drive! (D!D!D!). In possibly what is the most arcade racing thing to ever do, you have to race on multiple tracks at the same time. But when you aren't racing, your idiot AI races for you. In fact all the AI in the game is stupid -- it's terrible, and awful, but that's the point. You are the god of racing, the one with the brain, and D!D!D! really enforces the idea that you, as the player, are the best thing ever -- by having you race on multiple tracks simultaneously. Surprisingly, the controls are actually rather intuitive. You use the D-pad to quickly switch tracks, or hit a bumper to pause time and see the tracks from the air. Other than that, the only other buttons are boost, brake, and accelerate. Braking and accelerating at the same time allows you to drift. And that's about it. The rest is just about shoving, jumping, and drifting your way to a win or high score multiple times simultaneously. Apparently just trying to win one race wasn't enough for Gordon, the Head of Everything at Different Cloth. If that's not unique enough for you, the music is crafted by ZOMBI, a synth/prog/post-rock band. It's super unique, and cool, and fits the aesthetic of the whole game perfectly. D!D!D! is coming to Steam and PS4 hopefully before the end of 2016. 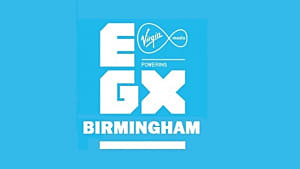 That's everything from EGX 2016 on Day 2, but make sure you check out all the other EGX 2016 coverage from both me and Emma Spalding.